April Paint Your Own Growler! — 1859 Cider Co. 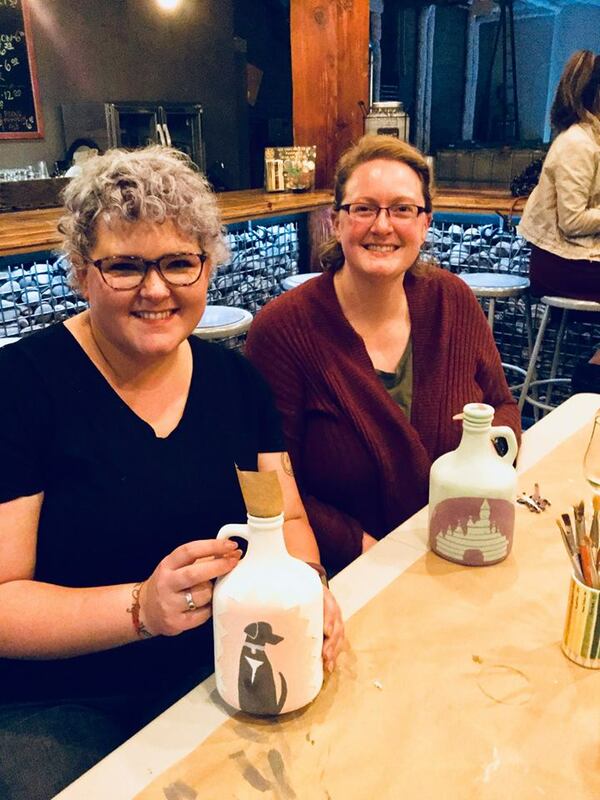 It's time for April's Paint Your Own Growler event! Join your Art Community to tap into that spring creative energy! To welcome spring, and in preparation for Mother's Day, we are offering a couple different options this month! $45 options- 48oz. ceramic growler OR large pitcher, planter, vase- this option includes $3 off your favorite cider! The night of, you'll be able to choose from a selection of options based on the price point registered for! All materials will be supplied - all you need is your imagination. - Your chosen ceramic piece, glazes, and firing by Create A Memory Pottery Studio. Bring your finished growler back to 1859 Cider Co. and you'll receive a 10% discount on your first growler fill! This event requires registration! So, head on over to the "CART" on our website or click HERE to purchase your seat!